March 17, 2018 at 12:10a.m. 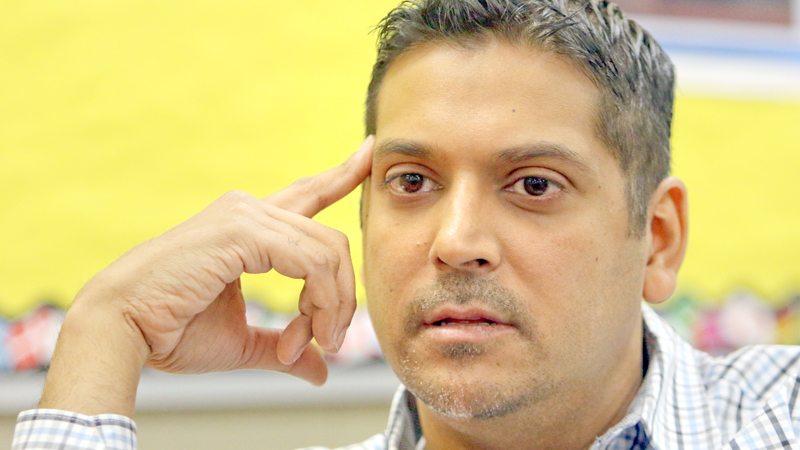 Youngstown School District CEO Krish Mohip is a finalist for the superintendent’s job in the Fargo (N.D.) School District, according to a Fargo news outlet. The Fargo Board of Education announced that Mohip is one of four finalists, and will be interviewed Monday. The other three candidates are Dr. Robert Arnold, assistant superintendent for the Campbell County School District near Lynchburg, Va.; Dr.. Rupak Gandhi, an assistant superintendent for Harrison School District Two in Colorado Springs, Colo.; and Dr. Barbara Hickman, adjunct faculty member for Grand Canyon University in Phoenix, Ariz.
Mohip is also a finalist for the superintendent’s job in Boulder, Colo. Last week, the Boulder Valley School District posted clips of his interview with its board on YouTube. Mohip was put in place in the Youngstown district by House Bill 70, commonly referred to as the Youngstown Plan, which was signed into law by Gov. John Kasich in July 2015. The bill enables a state-appointed academic distress commission to hire a CEO to lead the district. It gives the CEO complete operational, managerial and instructional control. Mohip refers to the elected school board as an advisory panel. An Ohio Department of Education spokesman said if Mohip decides to leave the district, a new distress commission, made up of five members, will be charged with choosing a new CEO. A new commission will have to be formed after several of the current commission members resigned recently. Mohip previously blamed his decision to apply for other jobs on the fact that his Youngstown home has been vandalized three times, and he wouldn’t be comfortable with his family living here with him. March 16, 2018 10:27 p.m.